Cancer isn’t just a medical condition. It’s also a life-changing journey. From the moment of diagnosis, we are with you, offering expert medical care, understanding and support in a soothing, healing environment that is close to home. Our Oncology program is designed specifically around your individual needs. A visiting oncologist and our oncology certified nurses develop a personalized treatment plan with each patient. We provide outpatient chemotherapy and help you coordinate radiology and lab tests, dietary needs, financial concerns, outside services, home care assistance and follow-up plans. Western Wisconsin Health has partnered with five area hospitals to create the Cancer Center of Western Wisconsin. The Cancer Center of Western Wisconsin is located in New Richmond and features the region’s only linear accelerator, allowing us to provide state-of-the-art radiation therapy right here in western Wisconsin. 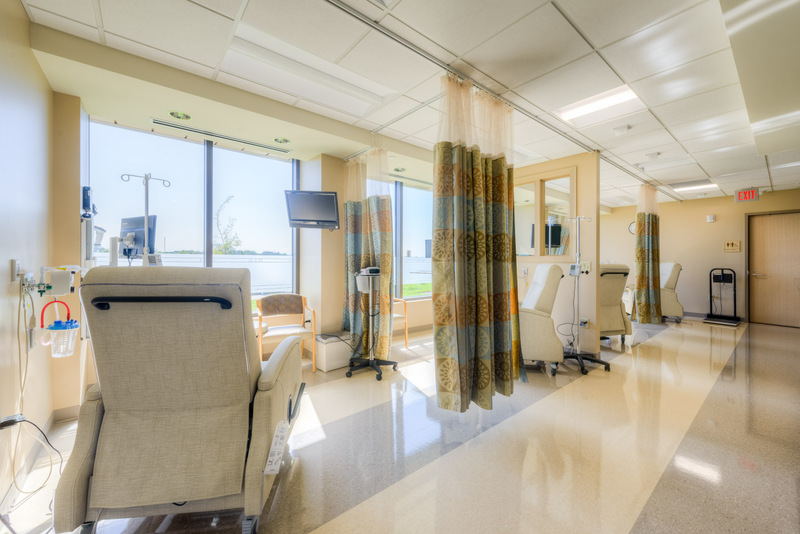 This allows patients to have chemotherapy treatment at the Western Wisconsin Health facility and travel to the Cancer Center of Western Wisconsin for radiation treatments. Enter through the Western Wisconsin Health Main Entrance. Please check in at clinic reception area near the main atrium. Click here to learn more about the Cancer Center of Western Wisconsin.